There are so many things babies need in those first few weeks of life but every new mom will find out soon enough, one of the most necessary items would be diapers. Gift the mom-to-be a nice collection of these baby basics with a unique diaper cake. Consider a whimsical theme that will have her heart soaring! 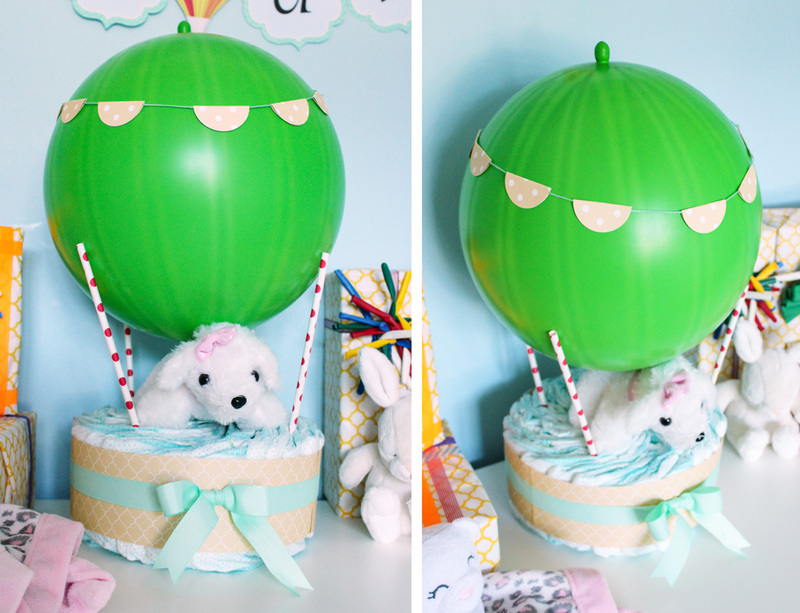 Read on to learn how to disguise a kids’ toy punch balloon into a high flying hot air balloon diaper cake. Tara from Spot of Tea Designs styled and photographed this baby shower gift with a twist! Be sure to stop by her blog to see more tips and how-tos! 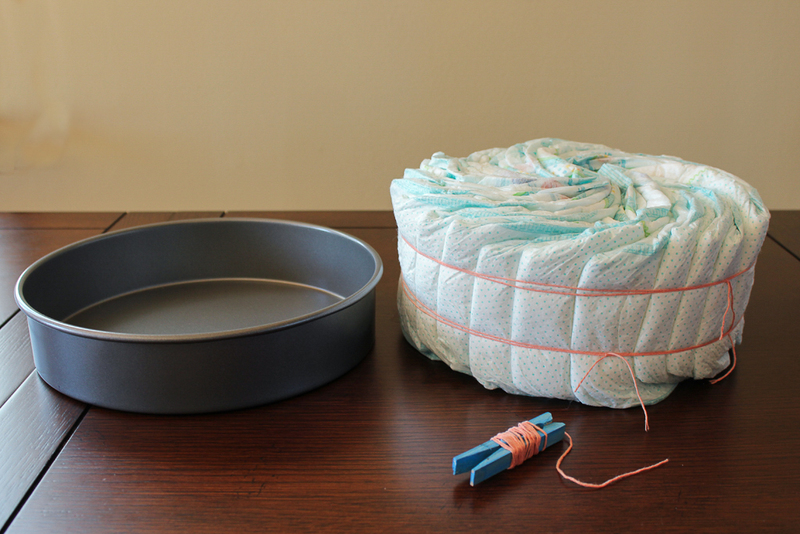 Stand a stack of diapers on their side inside a cake pan and begin curving them to form the diaper cake. 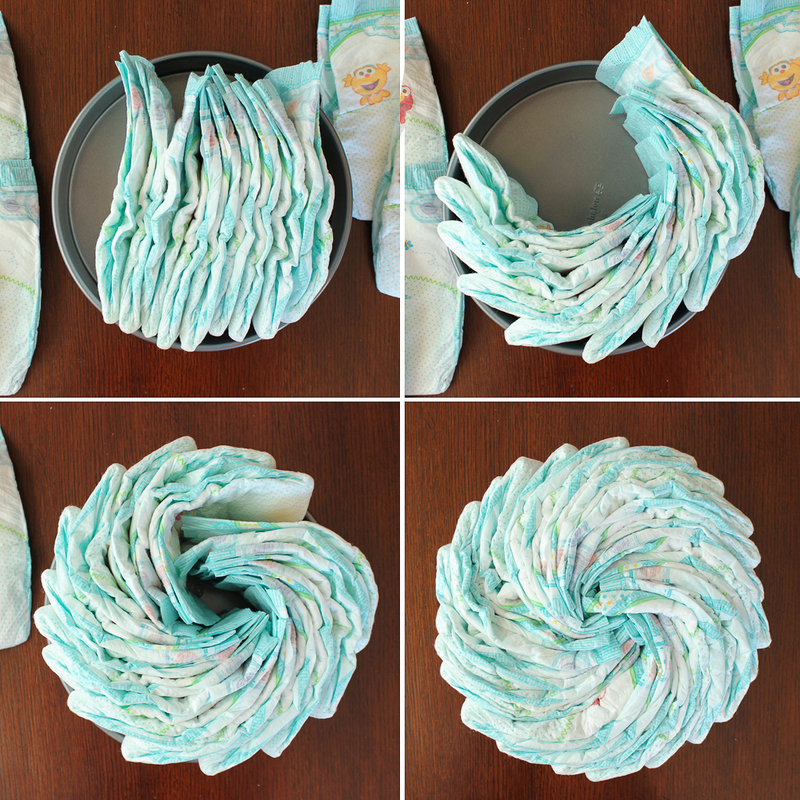 Scoot diapers out little by little to make the curved shape, as shown. Keep stuffing in diapers until your cake pan is full. Tie baker’s twine around the stack to secure the shape. Wrap the cake with patterned paper strips to cover the baker’s twine. Insert paper straws in the cake. Blow up the punch balloon and place it on top of the straws. Tie a piece of twine together to create a circle shape. Punch circles from the patterned paper and fold each in half over the twine. 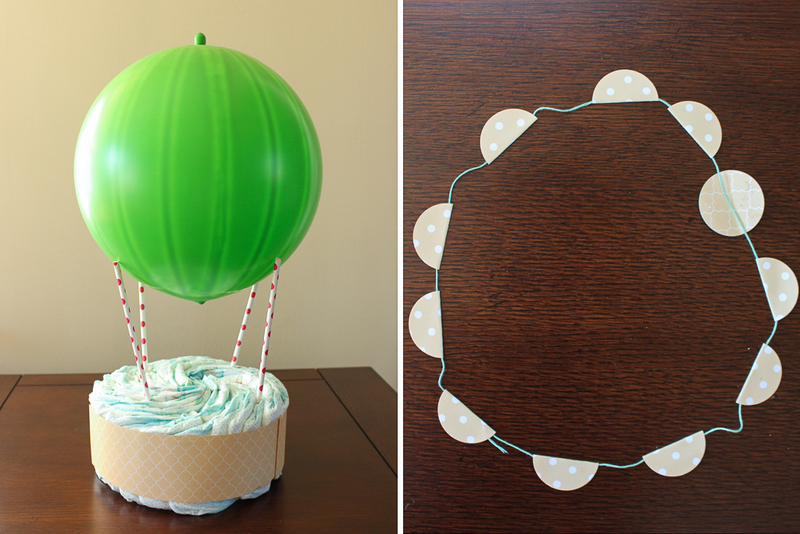 Place on top of the balloon to decorate. 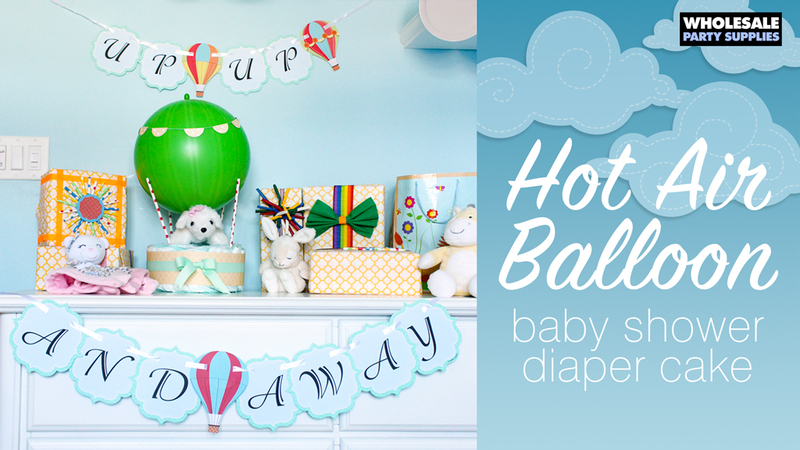 Add an adorable stuffed animal on the diapers to complete the hot air balloon look! 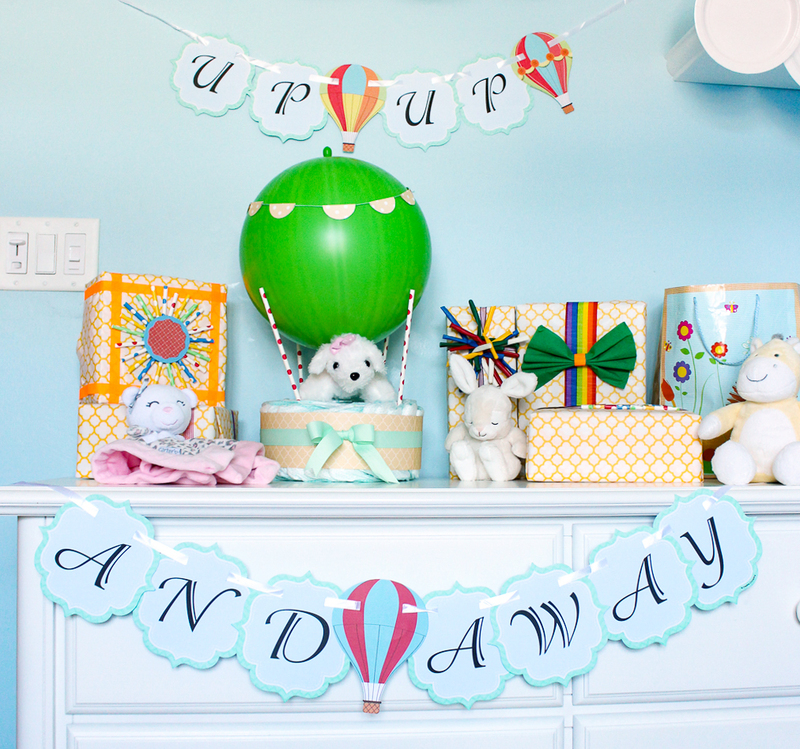 When it comes time to shower the mom-to-be hang an “Up, up and away” banner and try out some fun gift wrapping techniques with other gifts. Share your best baby shower gift ideas with us on Facebook, Twitter, and Instagram! Save this handy Pinterest guide to your Baby Shower planning board! 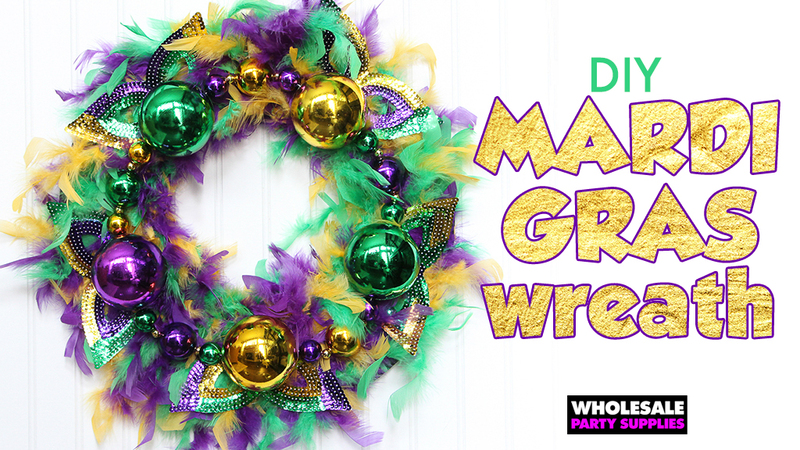 Mardi Gras DIY Wreath – Hats Off!